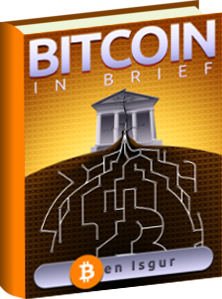 (6/23/2014) St. Paul, MN, USA – Today yesbitcoin, a non-profit organization, announced its plan to launch as the leading strategic, consumer- and merchant-facing communications effort on behalf of the world’s most prominently accepted cryptocurrency: bitcoin. yesbitcoin will focus primarily on driving understanding and acceptance of bitcoin as a mainstream consumer technology for everyday commerce. Regarding yesbitcoin’s space in the consumer marketplace, Petersen stated, “Consumers and merchants are accustomed to advertising communications from the financial service industry. Visa, MasterCard, American Express and other financial service providers have been selling the benefits of their products for decades, and have paved the path that bitcoin must travel. We seek to serve in this capacity on behalf of bitcoin, with “retail” communications efforts that can be easily understood by consumers and business owners everywhere.” yesbitcoin will be funded by contributing launch sponsors as well as ongoing contributions from the community. yesbitcoin is the first global, consumer-facing nonprofit organization committed to demystifying the Bitcoin economy, and increasing understanding, acceptance and use of Bitcoin. The yesbitcoin mission is to immediately become the solution to the problem of decentralized interest and lack of focused, strategic advocacy. yesbitcoin will operate in a collaborative, non-territorial and transparent manner. We will continue in the tradition of the broader Bitcoin community, and work with all interests to advance our cause. For more information, visit www.yesbitcoin.org or email [email protected]. Follow us on Twitter at @yesbitcoin and Facebook at www.facebook.com/yesbitcoin.